Bridges are some of the world’s most important architectural structures. From the standard structures that span tiny creeks to larger, more intricate structures that take drivers to the greatest heights, bridges are pivotal to life in so many ways, yet many of the world’s bridges are being lost to time and the elements, including the world’s covered bridges. In 2011, New York state’s famed Blenheim Covered Bridge was destroyed by flood waters that resulted from Hurricane Irene. Now in a new episode of PBS’ hit science-based series NOVA audiences see firsthand, the efforts to resurrect the historic structure. Released on DVD on Feb. 19, the hour-long program follows the noted efforts to rebuild the bridge from start to finish. That gripping story is one that will interest not only those with a love of and interest in engineering, but human dramas. It will be discussed shortly. The secondary story, which focuses on the ancient bridge-building techniques used in China’s covered bridges is another key element that adds to the doc’s presentation even more. The DVD’s average price point rounds out its most important elements. Each item noted here is important in its own right to the whole of NOVA: Operation Bridge Rescue. All things considered, the DVD proves to be a presentation that in itself, needs no rescue. NOVA: Operation Bridge Rescue is a presentation that is certain to appeal to a wide range of audiences. Whether one has a love of or interest in engineering or one is just a fan of human dramas, this episode of PBS’ hit science-based series proves to be a presentation that is one of this year’s best new documentaries. This is proven in part through the doc’s central story. The central story focuses on one community’s efforts to restore a key part of its history, the famed Blenheim Covered Bridge. It is a part of history that is just as important to America’s history as it is to the town. The story follows the efforts to give new birth to the bridge following its destruction in flood waters that stemmed from Hurricane Irene in 2011. Audiences will be surprised to find, as the story progresses, that not everything goes exactly as planned along the way. Yes, the story of the bridge’s resurrection has a happy ending. That happy ending comes after a lot of hard work and near misses, though, as crews battled time and the elements. While maybe not the stuff of a major blockbuster movie, it is still a story that is certain to keep any viewer engaged and entertained from start to finish. It is just one part of what makes this documentary well worth the watch. The secondary story tied into the program adds even more interest to the DVD. The secondary story featured in NOVA: Operation Bridge Rescue is almost as in-depth as that of the doc’s primary story. It presents to audiences, the story of the methods used to build covered bridges in China. Some of those methods go back eons, and have kept some of those bridges safe from time and nature for eons, as audiences learn. Just as interesting to learn is the purpose of those bridges. They are apparently used more for cultural purposes than for transportation, unlike so many American bridges (including covered bridges). Watching the thought, effort and time put into making the bridges “earthquake-safe” and able to handle such large weight loads is enlightening, again, not just for those with a love of and interest in engineering, but for audiences in general. What’s more, seeing the interest that young Chinese students show in the process is encouraging, as it shows that there is hope for the future of engineers. Of course, Americans are not left out here, as those working to restore the Blenheim spend some time with young, aspiring engineers on-site at their work site. While the overall secondary story focusing on Chinese bridges and the techniques used to build them does not exactly have a direct link to the episode’s primary story, it is still interesting in its own right, and is just as certain to keep audiences engaged and entertained as the doc’s primary story. Both items taken into consideration, they give audiences plenty to appreciate. Keeping this in mind, it makes the average price point for the DVD money well-spent. 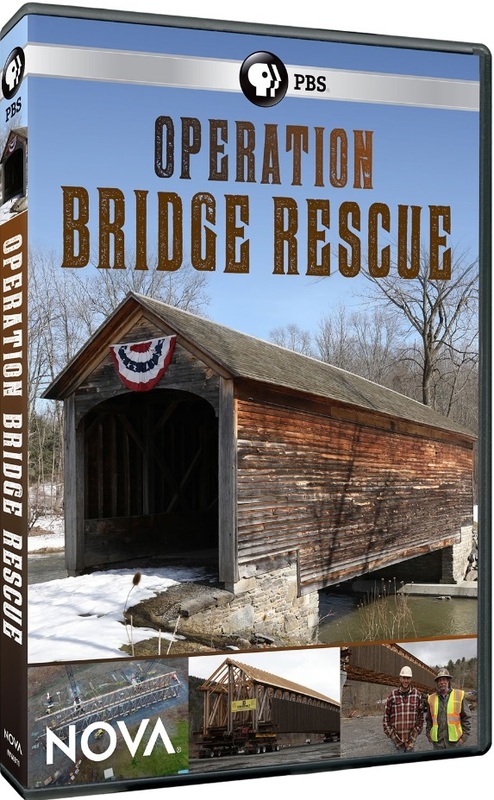 The average price point for NOVA: Operation Bridge Rescue is $19.34. that price is measured by taking price listings from PBS’ online store, as well as Walmart, Target, Best Buy, Barnes & Noble Book Sellers, Amazon and Books-A-Million. The most commonly occurring listing is $17.99, listed at Amazon, Walmart and Best Buy, while the least expensive listing is at Target, at $16.59. The most expensive listing is at Books-A-Million, at $24.99. Regardless of which outlet one chooses, purchase of this DVD still supports PBS, and considering the wide-ranging appeal of this episode, the money spent is well worth it. To that end, once again, audiences will find in this DVD, a presentation that is in no need of any rescue. To keep up with the latest sports and entertainment reviews and news, go online to http://www.facebook.com/philspicks and “Like” it. Fans can always keep up with the latest sports and entertainment reviews and news in the Phil’s Picks blog at http:///philspicks.wordpress.com. 2015 was a major year in the world of space exploration. It was in this year, that the New Horizons spacecraft gave humans their very first clear look at Pluto. The pictures revealed a world completely unexpected, full of icy mountains and plains of frozen methane and nitrogen. When it completed that mission, its overall mission was not yet over. It kept going, and on New Year’s day 2019, it flew by another interstellar body called Ultima Thule. The rocky body gave researchers brand new insight into how the galaxy’s planets were formed, and was also the most distant research mission ever undertaken — 4 billion miles away — by NASA. 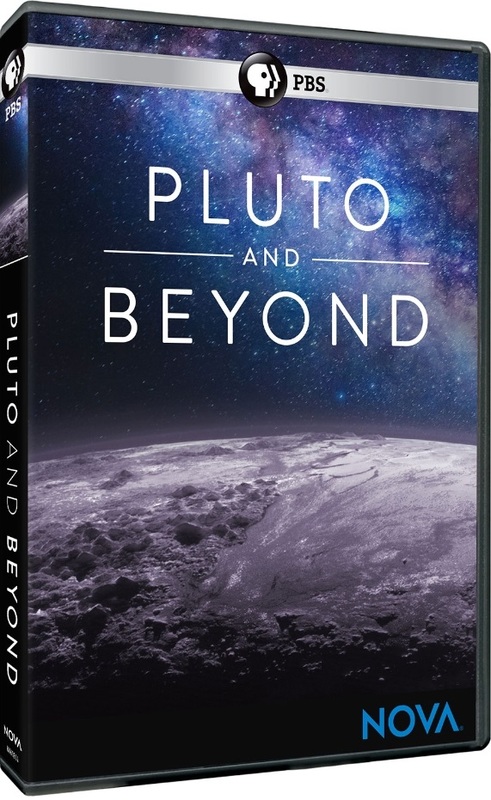 Now next month, that story will be available for home viewers when PBS Distribution releases NOVA: Pluto and Beyond. The DVD is scheduled for release on March 26 and will retail for MSRP of $24.99. It can be pre-ordered now at a reduced price of $19.99 via PBS’ online store. PBS Distribution is taking audiences into space again next month with a new episode of its hit science-based series NOVA. 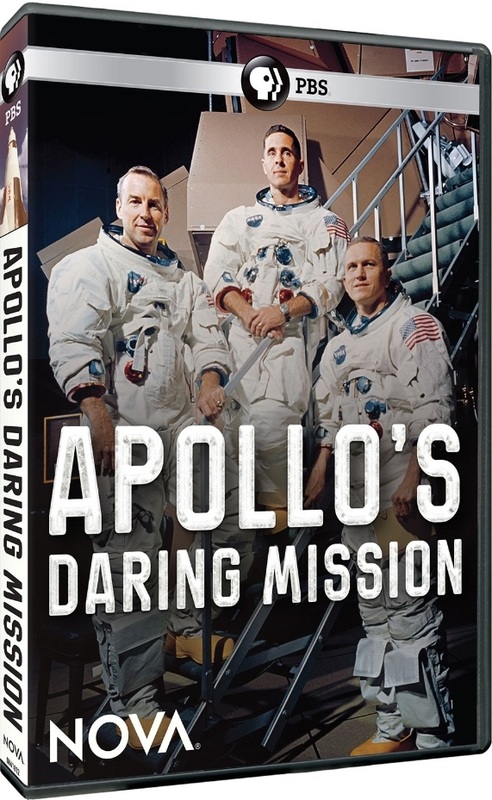 NOVA: Apollo’s Daring Mission is scheduled for release on March 19 on DVD. The story on this episode follows the events of the Apollo 8 flight, the first of the Apollo missions that took a man to the moon. The mission came only a year after the tragedy of the Apollo 1 mission, which ended in fire during a pre-launch run through. The Apollo 8 mission, according to the story, started out as an Earth orbit mission, but out of concern about losing the so-called Space Race to Russia, it was modified to a lunar mission. Now half a century later, those connected with the historic mission talk about the launch and everything that went into it from start to end. PBS Distribution will release a trio of new NOVA episodes on DVD next month. Up first on the company’s schedule is NOVA: Thai Cave Rescue. The hour-long program follows the dramatic rescue of 12 boys and their soccer coach from a cave in Thailand that happened last summer. The story made international headlines last July as the group sat trapped in the cave for 18 days. An international group of rescuers partnered to bring the boys and their coach from the depths and back to safety. 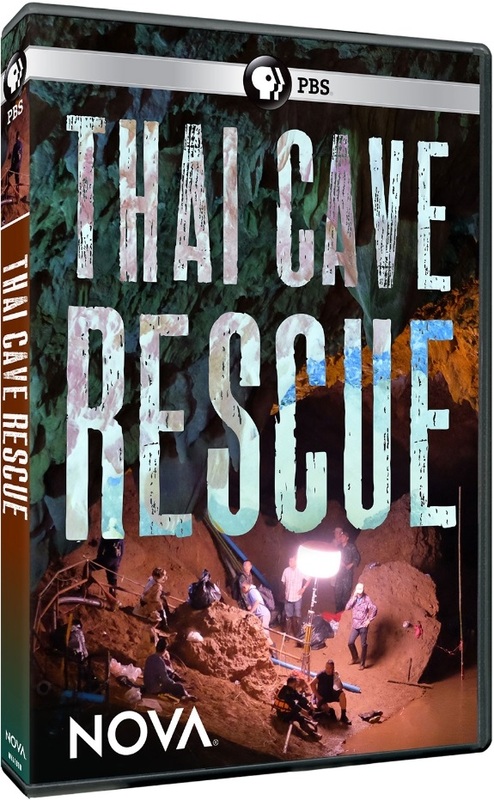 NOVA: Thai Cave Rescue will retail for MSRP of $24.99, but can be pre-ordered now at a reduced price of $19.99 via PBS’ online store. 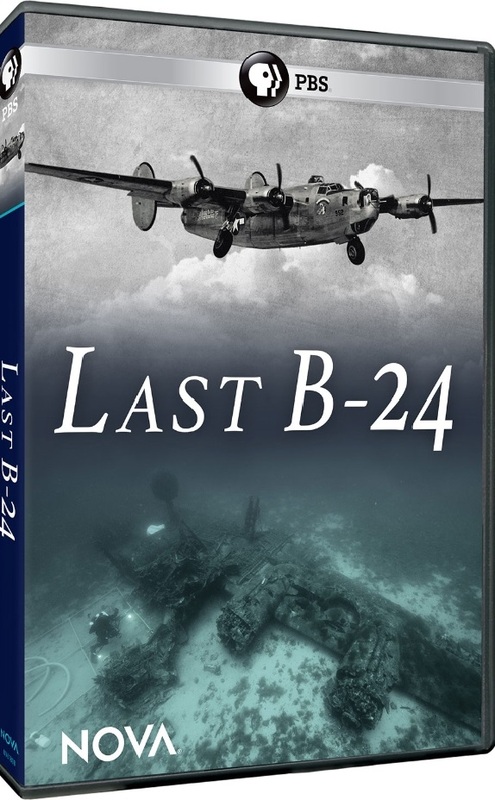 Next up on PBS Distribution’s February NOVA release schedule is NOVA: Last B-24. Also scheduled for release on Feb. 5, this episode follows the investigation of the WWII B-24 bomber Tulsamerican after its discovery beneath the waters of the Adriatic Sea. The bomber crashed in the sea 74 years ago. Seven of its 10 crewmen survived, and three died. Seven decades-plus later, an expedition group composed of members of the U.S. Department of Defense POW/MIA Accounting Agency, Croatian Navy and forensics experts examined the site and the remains of the fallen airmen in hopes of identifying them and answering why the plane crashed. NOVA: Last B-24‘s run time is 45 minutes. It will retail for MSRP of $24.99, but can be pre-ordered at a reduced price of $19.99 via PBS’ online store. Rounding out PBS Distribution’s February release schedule is NOVA: Operation Bridge Rescue. This episode will appeal to students and lovers of engineering and engineering history, as it follows the reconstruction efforts of the famed Blenheim Covered Bridge in New York State after its destruction by Hurricane Sandy in 2012 and a group of thousand-year-old bridges in China. The engineers face ongoing battles because of typhoons that destroy the bridges. NOVA: Operation Bridge Rescue runs 60 minutes, and will retail for MSRP of $24.99, but can be pre-ordered now at a reduced price of $19.99 via PBS’ online store. The issue of climate change is one of America’s most divisive topics today. Between scientists and civilians, opinions on climate change have created a deep rift between Americans. The deniers constantly claim that the planet’s climate is not changing and that humans are not to blame. Those on the other side attest the exact opposite. Now thanks to a recently released episode of PBS’ hit science-based series NOVA, — Decoding The Weather Machine — those raising the alarm about climate change and mankind’s influence on climate change have even more support for their arguments even as the deniers continue to hold firmly to their deluded beliefs. That support is provided in large part to the program’s primary presentation, which will be discussed shortly. The program’s overall construction – its transitions and related pacing – play into the program’s presentation, too. It will be discussed a little later. The single-disc presentation’s average price point rounds out its most important elements. Each element is important in its own right to the whole of this release. All things considered, this two-hour presentation is a powerful and convincing warning about what is currently happening to Earth and a reminder that it is not too late for the planet or for Earth. NOVA: Decoding The Weather Machine is one of the most powerful discussions on the issue of climate change that has been released in recent years. The in-depth program leaves no doubt – despite deniers’ own beliefs – that climate change is real, and that mankind is in fact playing a part in what is happening to the weather, and in turn to Earth. As has been noted, that is due in no small part to the discussions that make up the program’s primary presentation. Over the course of the two-hour presentation, academics and scientists alike discuss the roles that Mother Nature and mankind alike play in climate change. They do admit that climate change has been happening for eons, but in the same breath, prove through extensive discussion that it has been increasing dramatically ever since the start of the industrial revolution. From there, the discussions turn to a focus on the obvious rise in the number of wildfires in the west, Category 4 and 5 hurricanes in the Atlantic and the equally obvious decline of the polar ice caps, and even decrease in sea ice in the Antarctic to prove the effects of that continued rise in the earth’s temperature and carbon dioxide levels. Audiences are also taken to areas, such as Norfolk, VA and the Falkland Islands to illustrate the impact of the world’s rising ocean levels. Between those illustrations of the impact of climate change and the evidence exhibited throughout the first half of the program, it becomes painfully clear that climate change deniers have no case in their arguments. It shows climate change is in fact very real and very much an issue that must be addressed now. Speaking of being addressed now, the second half of the program addresses just that. It reminds audiences that if mankind starts making changes now, it can avoid a very bleak future. It points out that the best way to avoid that potentially bleak future is to adapt and mitigate now, adding that thankfully there are those who are already mitigating. Case in point is the rise in the use of solar and wind power discussed in this portion of the program. Some scientists are even finding ways to recycle carbon dioxide and put it to use for mankind while even profiting from that use. The end result is not only profit, but also a decline in the amount of carbon dioxide in the atmosphere, which also means less heating of the atmosphere, and in turn less damage to Earth. As if that is not enough, in America’s heartland, one farmer shows that non-tilling of fields is another way in which mitigation is helping decrease carbon dioxide levels in the atmosphere. In turn, it is also making soil on farmland richer, despite how the land might look. Simply put, the program shows just as clearly how mitigation and adaptation can help humans make a positive change in Earth’s future as it does how mankind has played a direct part in speeding up Earth’s natural climate change. It reminds audiences that the future does not have to be bleak. Keeping this in mind, the primary program of NOVA: Decoding The Weather Machine creates a solid foundation for the program’s presentation. The program’s overall presentation strengthens that foundation even more. The construction of NOVA: Decoding The Weather Machine strengthens the program’s foundation because of its ability to keep viewers engaged throughout. This is even despite any clear segment breaks. From one segment to the next, the transitions are just clear enough that audiences are not left wondering where the topic changes from one item to the next. The program starts off by focusing on the earth’s atmosphere (air) before moving to the planet’s oceans (water) and then to the land (earth & fire), connecting each portion smoothly. As noted previously, the program also focuses on the changes that can be made to avoid a bleak future. Even the transition to the discussions on what mankind can do in order to create a better future for the planet is smooth in its own right. Through it all, those smooth transitions keep the program’s pacing stable throughout, ensuring even more, viewers’ engagement. Given, segment breaks would have been a nice addition to the program. Either way, the manner in which the program was constructed – both in regards to its transitions and pacing – builds on the foundation formed by the program’s main presentation, and strengthens it even more. The end result is a program that, despite its two-hour run time, is still a powerful work that is certain to keep viewers engaged, and in turn, remind audiences that mankind is in fact impacting climate change. Keeping all of this in mind, the DVD’s average price point proves to make the program’s purchase money well spent. 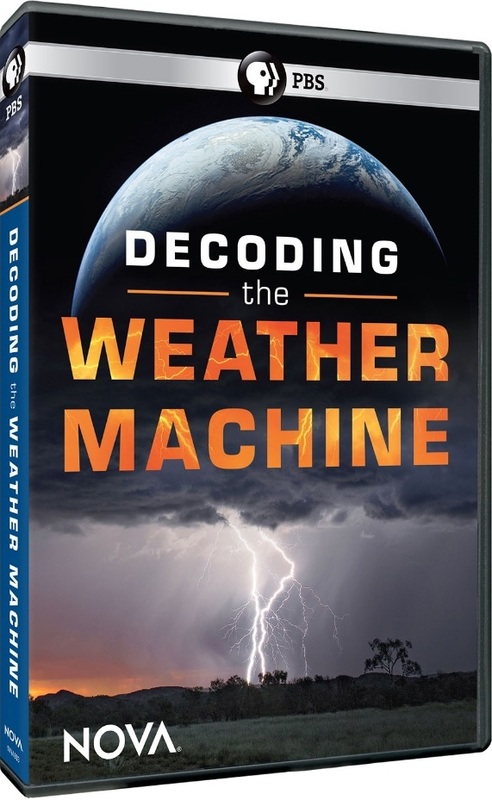 The average price point of NOVA: Decoding The Weather Machine – using prices from PBS’ store, Target, Best Buy, Walmart, Amazon, Barnes & Noble and Books-A-Million – is approximately $18.84. That is a relatively affordable price considering the amount of evidence presented here of climate change’s reality, and the reality of mankind’s role in the increasingly dramatic impacts of climate change. When considering the relatively smooth transitions from one discussion to the next along with the material featured in the main presentation, it becomes even more affordable. To that end, this must-see episode of NOVA proves to be solid proof that despite what some people want to believe, climate change is very real, and mankind’s impact on that natural process is just as real. Nothing in life is impossible. Nothing. The Wright Brothers proved that true on December 17, 1903 when the brothers from Ohio launched the first powered airplane. Charles Lindbergh proved it true again when, in May 1927, he completed the first solo nonstop transatlantic flight. When Chuck Yeager broke the sound barrier in 1947, he proved it once again, and in 1969 when Neil Armstrong became the first man on the moon, he also proved that statement true. The stories go on and on from there, from the maiden flight of the Concord and more. The Solar Impulse became just the latest story to prove nothing is impossible when it completed the first round-the-world flight powered only by solar power in March 2016. Thanks to PBS, the story of that grand journey has finally been told in the form of NOVA: The Impossible Flight. Originally aired on January 31, 2018 and released April 10, 2018, this two-hour human drama is just as good as any blockbuster that Hollywood’s “Big Six” could ever turn out. As a matter of fact, one hopes that no one at the “Big Six” will ever try to tarnish the legacy of this flight with some unnecessary overly embellished re-telling. Getting back on track, this story is one that any and every aviation enthusiast and history lover must see. Period. That is due obviously first and foremost to the story at the center of this episode of NOVA. It will be discussed shortly. In direct relation, the story’s pacing is just as pivotal to the program’s presentation. It will be discussed later. The cinematography rounds out its most important elements. Each element is obviously important in itself to the program’s whole. All things considered, NOVA: The Impossible Flight could *ahem* possibly be the best documentary to be released so far this year if not one of the year’s best. PBS’ new powerful aviation documentary NOVA: The Impossible Flight is “possibly” the best of this year’s new documentaries at the most and definitely one of the year’s best at the very least. That is due in part to its story, which is such a gripping human drama. 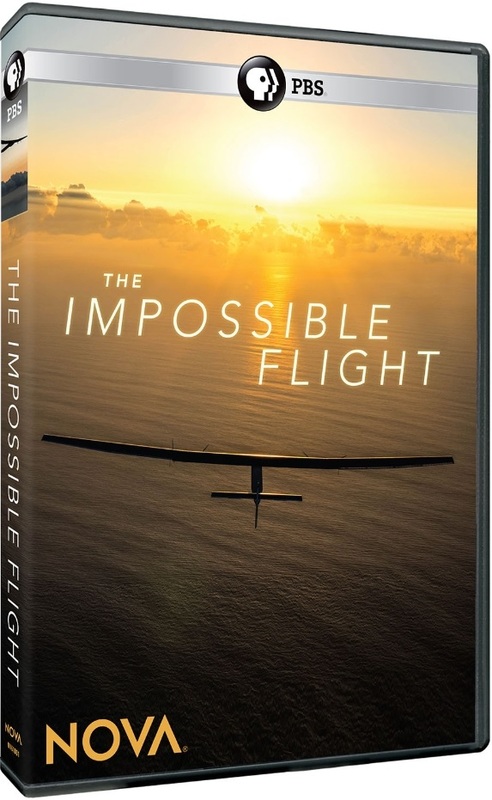 The story at the center of this two-hour follows the flight of the Solar Impulse and everyone working to make the dream come true. The global journey was anything but perfect, too. From constant false alarms keeping the plane’s pilots – Andre Borschberg and Bertrand Piccard (whose grandfather apparently was the inspiration for the one and only Capt. Jean Luc Picard on Star Trek: The Next Generation) – awake, to differences among the ground crew at a critical juncture to weather causing setbacks and more, the flight had plenty of ups and downs. It is those constant ups and downs that insure viewers’ maintained engagement. That is because they create the same kind and level of human drama that one might get, again, from any major Hollywood blockbuster based on actual events and overloaded with unnecessary embellishments. Luckily none of those unnecessary embellishments are included here. Instead, the story told here is exactly what happened, again making it engaging in itself. In other words, it’s a drama that could and did happen, giving audiences plenty of reason to watch. It is just one of the elements that makes this doc so worth seeing. Its pacing, in direct connection, does just as much to make it worth the watch. Considering everything that happens over the course of The Impossible Flight’s story, one of the main concerns that would rise in any viewer’s mind is the story’s pacing. That’s because of how easy it would be for the story to get bogged down in itself. Luckily that didn’t happen here. From the moment the plane launched from Abu Dhabi in 2015 to the moment that it touched back down in March 2016, the story’s pacing is solid throughout. Even in the moments when the plane is on the ground, itself and its pilots resting up from the current and preparing for the next leg, there is just enough drama to keep the story moving. At the same time it isn’t so much that the story gets bogged down in itself. Those long hours and days that Piccard and Borschberg spend piloting Solar Impulse present their own interest keeping the story moving just as much. That is because those moments take viewers back and forth between the plane’s cockpit and ground control, where a multi-member team of engineers and meteorologists, keeps track of weather patterns, the pilots and the plane all at the same time. Between those moments, the moments in the plane and the hours between each leg, the story keeps itself moving solidly, never going too slow or leaving viewers behind. Keeping that in mind, it should be clear why the movie’s pacing is so important to its presentation. It never moves too slow or too fast at any given point, and that’s even keeping in mind all that happens throughout. Having noted this, the story’s pacing is clearly important in its own right to the doc. It still is not the last of the movie’s most important elements. Its cinematography is also important to discuss. The cinematography presented throughout this program is a purely aesthetic element, but it adds so much to the overall experience. Audiences will be in awe as other pilots circle the Solar Impulse along the way. The wide shots do so much to illustrate just how small the plane is in comparison to its surroundings, making for their own impact. The aerial shots captured from cameras attached to Solar Impulse’s wings are just as powerful, as are the cockpit shots, which fully illustrate how tight the confines were for the pilots. Those shots add even more to the story’s emotional impact. In the same breath, those moments with Piccard sticks his arm out of the cockpit to capture “selfies” with one of those so-called “selfie-sticks” are dizzying. Oddly enough, that dizzying nature of those shots are powerful in their own right, too. Even moments like then Piccard’s wife reaches out to greet him at the voyage’s end and when locals around the world greet the plane at its landing offer their own power. Between all of these moments and so many others, the cinematography presented throughout the program offers just as much to appreciate here just as much as the story itself and its pacing. When all three elements are joined together, they make The Impossible Flight a program that not only proves nothing is impossible, but in turn, becomes possibly the year’s best new documentary feature. It is just as good, if not better, than anything that Hollywood’s “Big Six” could ever turn out. It is that powerfully engaging and entertaining.